After a hiatus of three years, Colors is bringing back the Indian adaptation of the American espionage thriller ‘24’ and is expecting to break-even from the big-ticket property. Apart from Maruti S-Cross as the presenting sponsor for the show, Colors has lined up smartphone manufacturer Oppo as a sponsor. 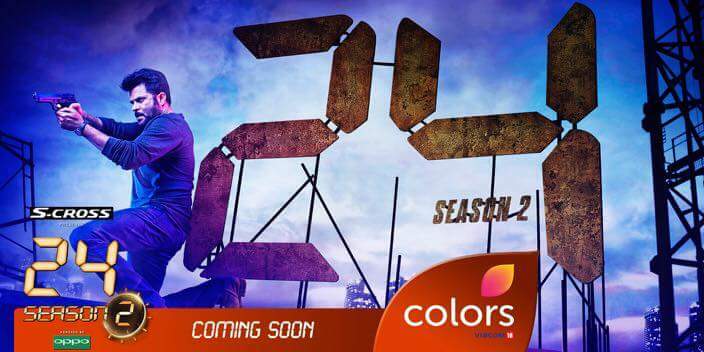 Colors will be premiering the show in July, but has not finalised the date of airing. The second season of ‘24’ will air on the weekends. The time slot is likely to be 9 pm. The second season of ‘24’, shot lavishly in a high-octane thriller format, has 24 episodes of one hour each and stars Anil Kapoor in the lead role. Co-produced by Anil Kapoor Film Company and Ramesh Deo Productions India, the series has been directed by Abhinay Deo, along with Rensil D’Silva, who did the screenwriting, and Niranjan Iyengar, who wrote the dialogues. As the curtains rise, it’s evident that Jai Singh Rathod (Anil Kapoor) has isolated himself from the world to become a recluse on a self-imposed exile. His dark past has made him a fugitive from justice; and while his daughter Kiran (Sapna Pabbi) supports him, his son Veer (Akshay Ajit Singh), now a part of the Intelligence Bureau, does not. The iconic clock resets as druglord Haroon Sherchan (Sikander Kher) threatens to release a contagious airborne virus which will eradicate humanity, unless his brother Roshan (Ashish Vidyarthi) is released from prison. As radical groups and their potentially catastrophic plots unfold, the new ATU Chief – Shibani Mallick (Sakshi Tanwar) reaches out to Prime Minister Aditya Singhania (Neil Bhoopalam) to discuss preventive measures. Confident that only Jai Singh Rathod can prevent this brutality, Aditya Singhania calls upon him to ensure that reality is restored to its proper order. Setting in motion a series of events, the one-man-army Jai Singh Rathod returns to thwart every sabotage attempt in the face of political blackmail battling an unseen enemy with a personal vendetta.